Helping you to become more visionary in your strategic thinking. We will push you out of the gate towards thinking bigger, better, and “badder.” Regardless of your size and industry, you can maximize your value and skills through improved self-confidence, language, and self-discipline. Rapidly improving your communications and influencing skills to better inspire your employees and increase productivity. Enhancing your company’s branding and messaging to reach your audience with greater influence. Arm you with techniques and tactics to accelerate professional development and training results for your managers and staff. Eliminating “Organizational Amnesia,” so that your business won’t suffer with any transitions. Enhancing your ability to effectively use 21st century marketing tools to communicate your message. Positioning your business to be a “destination” organization so you can more effectively recruit new talent. Quickly and easily provide you with strategies and tactics on improving your life and work balance. We will turn you into an expert juggler so you never drop any of those balls! Strengthen your own “muscle memory” through better habits and behaviors that will lead directly to achieving your goals and dreams. Significantly improving your own metrics for success and accountability. I’ve worked with countless small business owners and executives on strategy, communications, leadership, and growth. Out of that work, I’ve designed a program to help you squeeze every bit of talent out of you, your employees, and your company. This will result in a richer and more rewarding life experience for you, your employees, and your valued clients. Challenge you to abandon the fears and trepidation that holds you back from taking risks and realizing rewards. The result is you enjoy a life free of stress and anxiety while achieving your dreams. Provide you with a broader, more global perspective of your business. It’s easy to get myopic and constrained. We all need guidance to help us reach our potential. The result is you will maximize your ability to boost revenue and exponentially grow because your worldview has become an open gate! Enhance your leadership skills as a business owner, entrepreneur, or executive. The result is by being more skilled in communicating and influencing, you will unleash your employees to improve themselves and rapidly improve your business. Enhanced thought leadership skills. What does this mean? If you’re asking, that’s why you need to be here. Your clients want to work with thought leaders. Find out how to position yourself as one. The result is by being an object of interest, you will generate more opportunities where people seek you out, not the other way around. The heart of the program is three live, dynamic and exclusive full-day Unleashed Out of the Yard experiences. These will be streamed live and available to all registrants, however everyone is invited and encouraged to attend. The sessions will all be in the Seattle area in 2015, however we will look to move around in the future. The first session will be held in mid-January. In between these live events, we’ll have four virtual and interactive webinar workshops. The focus will be on a key concept or best practice, sharing experiences, and engaging in valuable Q&A. These are not boring slide shows. You will see me live broadcasting from the palatial studios of Toro Consulting, Incorporated…with Captain Jack at my feet. Live sessions and webinars will be recorded available to you on a private members only site for unlimited review as long as you are a member. Each month, I’ll send you exclusive material and resources to augment our discussions and prepare you for future ones. These will be available to members only. Dogs run in packs. You’ll go through this program with peers and colleagues, who will become trusted advisors, friends, and partners in your professional and personal growth and development. It’s always more fun to be unleashed and running together. How to maximize strengths & talents both for yourself and your team. Self-assessments, exercises, and case studies will guide you through this section. The Invisible Fence Syndrome: How to think bigger, not just for you but also for your entire company. Being the Lead Dog. Leadership skill development and training from influencing to delegating to time and email management skills. How to build and boost even greater self-esteem and self-confidence to eradicate the negative fear that shackles us. Setting expectations and metrics for success in your organization. The Holy Grail: Recruiting and hiring better and more talented people to grow your team. Generations in the workplace. How to assure diversity in ideas, concepts, strategies, and tactics. Creating a positive and rewarding life-work balance for everyone in your organization. Perpetuation: What’s your exit plan and how will you get paid? The Bark: How to improve your language to become more persuasive. Creating a bone-crunching value proposition that exemplifies how you improve the condition of others. Garage Band to Rock Stars: Building a potent sales team that is based on delivering great value. Social Media and Web sites…marketing for this century. Creating a value mentality within your entire organization. September 16 – October 15: $4,450 for the first person, $3,950 for each additional person from your company (a 15% discount). After October 16: $4,950 for your company first registration. All registrants from your organization after the first one are $3,950. You have two options for payment: in full, or in equal halves 30 days apart. I accept all major credit cards, business checks, and cash flown in my homing pigeon. Debrief on 2014 – The good, the bad, the ugly, and how to finish fast. December is NOT a throw away month! Discuss and game plan the most important business issues you are likely to face, including the Affordable Care Act (ObamaCare), Technology, and Regulations. This is available for all registrants and it will also be recorded. I will host a group of no more than 10 people at an exclusive, intimate dinner the night before each of the three workshops at an outstanding Seattle restaurant. Members will enjoy incredible cuisine, drink excellent wine, and have great conversation. There may even be a special cigar bar opportunity for those that enjoy them. It’ll be the same group each dinner, creating a natural “best practices pack.” As an added bonus for this group, I’ll also host private conference calls with you, as a group, approximately one week after each live event to assure implementation and help out with accountability. So consider this wide-open gate – three special dinners, private conversation with me, trusted relationships with your peers, and added accountability with private conference calls with me. The investment? Simply an additional $750. First come, first served. Please email me directly at dan@danweedin.com, so that you can assure your spot! If after the first workshop (mid-January 2015) you are not completely satisfied, you may request your money back, and we will refund it without question. The window is immediately after the first workshop. Not the next day, or the next week or month. If you feel that this program is not for you, just tell Dan after the first session, and your money will be returned. Before this challenge, ALS was almost an unknown entity. For almost 80 years, it went by the “aka” of Lou Gehrig’s disease. It paled in comparison to the “name brands” of donations like cancer, diabetes, heart disease, and AIDS. This challenge has not only raised tremendous amounts of money, but even better, it put ALS on the map for future donations by raising the brand. Nobody is referring to the Hall of Fame New York Yankee player when nominating others and dumping ice water on their heads. They are calling it ALS and people are checking it out. The carryover effect will be massive. However in order to do that, they needed to create a buzz. Or, maybe in better terms, a BIG SPLASH. You must do the same in your business. If you aren’t the name brand; if everyone doesn’t know your name; and if you want to create a sustainable business, you can’t just dip your toe in the water. You need to make waves. Like the ALS campaign, you must find a creative and out of the box way to present your message, to gain attention, and to become relevant to your audience. I’m not suggesting you dump water on your head…that’s been taken. What I do recommend is you spend some part of your days brainstorming how you can make a splash so you can best help others and advance your business with tremendous results, too. What’s your plan to make a splash? Watch my ALS Ice Bucket Challenge to honor a childhood friend that is currently fighting this terrible disease. Please join me in making a donation to help research to find a cure. 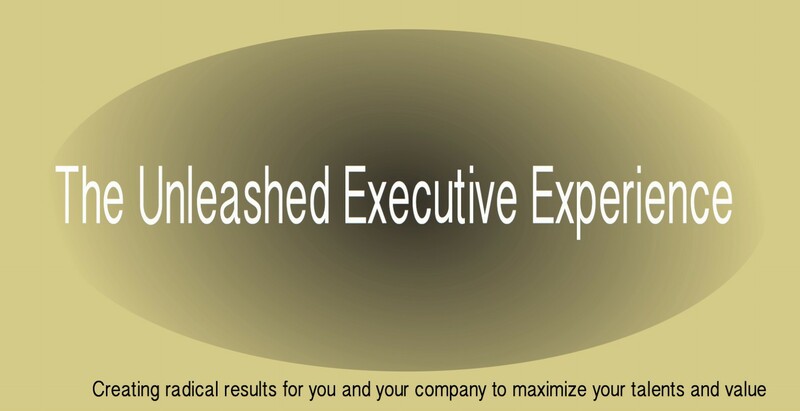 Unleashed Executive Experience ~ A transformational expereince for business owners, executives, and entreprenuers to maximize their talents, skills, and company. Help support this very important cause by donating and spreading the word. This one-hour webinar workshop is specifically tailored for small business owners (1 to 100 employees). I constantly hear that there is simply not enough time or budget to spend on crisis strategy and disaster recovery planning. Okay…now I’ve got your solution! By attending this live and interactive workshop, you will walk away with your very own disaster recovery game plan for your business. I will walk you step by step through the process, so you will have an actionable plan ready to implement. You will be able to ask questions along the way AND have email access to me for up to 72 hours after the workshop. September is National Preparedness Month, so it’s an ideal time to get your plan in place. For the investment of one hour and $50, your return will be potentially massive. Don’t leave the viability of your business and the well being of your employees to chance. Being unprepared is negligent. 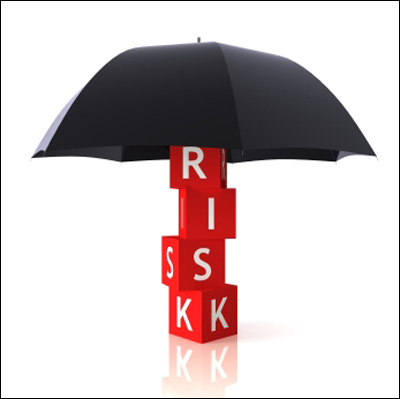 Conquer crisis in your business and safeguard all you’ve worked for. Register now by clicking on this link~ space is limited. Note ~ Don’t sit on this information if you’re not a small business owner. Pass this on to your boss, your friends, your clients, your peers, and your colleagues that are. This workshop may just save their business and you will be a hero! P.S. The workshop will be recorded and sent to all registrants, so they can keep it forever. Also works in case they can’t be there live. We all know that if you park your car in your garage, shut the door and leave the car running, you have problems. If you stay in the car, the carbon monoxide will overtake the oxygen and very quickly suffocate you. Breathing your own exhaust is fatal. If you continue doing what you’ve always done (sitting in your car); never take any input advice, coaching, mentoring, or any kind of professional development and solely listen to yourself (exhaust); and close out all avenues of risk (closed garage door); you will also suffocate your career. It’s called “breathing your own exhaust,” and the concept was fist taught to me by my professional mentor, Alan Weiss. I was reminded of it during my live broadcast yesterday (watch recording below ~ 24 minutes). This week, I have started a campaign to call people (that’s right, call NOT email) in my community to ask what topics they want to see me address in my newsletters and videos. The response has been fantastic and I’ve picked up some new ideas that I’d never considered. It’s one of the ways I try to take in fresh air to keep my intellectual property relevant and fresh. What can you do in your business to do the same? This weekend was quite uncommon. On Friday, I attended the funeral of a dear friend who passed away at 86 years old. A day later, I was at a celebration for a young lady turning 100 years old. As I keep nearing a milestone birthday at the end of this year, these events give me reason to pause and reflect on my life.Saturday night, I was watching the Pro Football Hall of Fame induction ceremony to cheer on from a distance a great Seattle Seahawk, Walter Jones. Just prior to Big Walt’s speech, another inductee gave a rousing oratory, which caught my attention based on the previous 48 hours. Aeneas Williams said that the greatest wealth in the world was not in Fort Knox, or in a bank. It was in a graveyard. The hundreds of people buried their that left the world with “gas in the tank.” He exclaimed that the goal for each of us should be to leave this world on “empty,” having maximized your life and your talents. 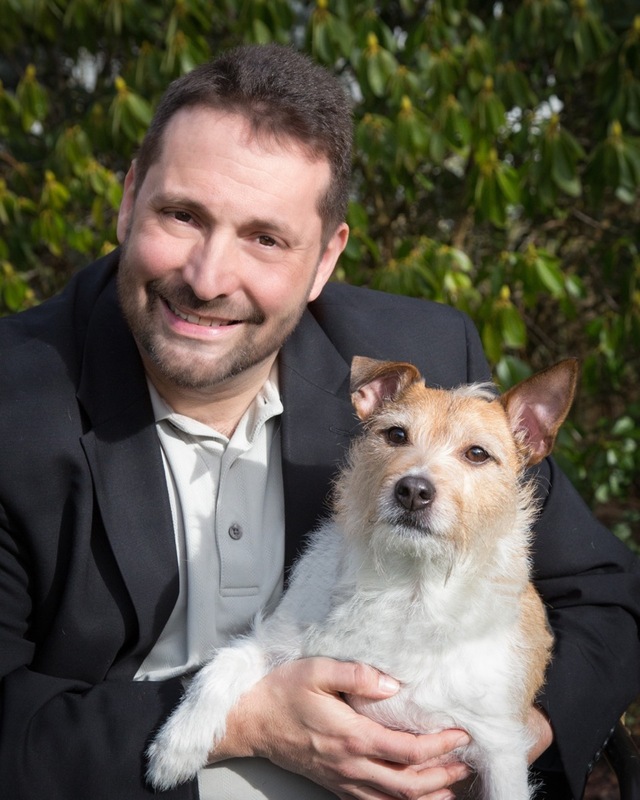 Captain Jack and I often extort you through our writings and videos to become “unleashed.” To discard those bonds that hold you within your own yard and maximize your skills and talents. However for me, to hear Mr. Williams tell it in his own way, at that moment, and for where I was, it was moving and powerful. Bottom line ~ Get unleashed and run to “empty.” We only come around this way once and we have no idea when the ride stops. It makes the most sense to get your money’s worth, right? Start today. LAST DAYS! Take advantage of my Weedin Unleashed 9th Anniversary Special which ends on Wednesday. It may be the most “special” thing you do for your career, business, or life. Time is short, so act today!